Japanese Comics or Manga as they are called, are wildly popular in the land of the rising sun but it has made it’s mark on the rest of the world, and not recently but these days given the vast fan following, Hollywood has been making live-action movies on them, and even a service like Netflix features these in it’s library and is not producing several of these as well. A story about a young boy dreaming to become the King of pirates one day. And so he embarks on a journey with his band of misfits. He acquires a unique ability to be able to stretch his body like rubber and use it as a weapon. Although his crew and he, are not technically pirate material but they do call themselves that. 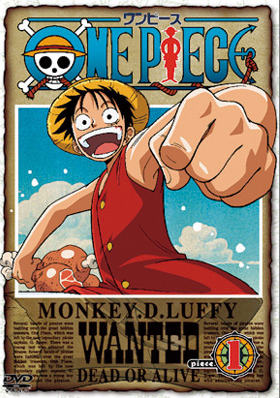 One Piece has been one the most beloved Manga of all time, and is one of the longest animated manga as well. With immense demand of this franchise, it has also been showcased in commercials, video games and has a wide array of merchandise. It is not a surprise that even after all these years, One Piece is still ruling the charts. As the legendary Naruto Shippuden finished it final arc most of us thought that that would be the end of it but little did we know that there is going to be another saga after that. This is the tail of Boruto, son of the now Hokage of Hidden Leaf Village. 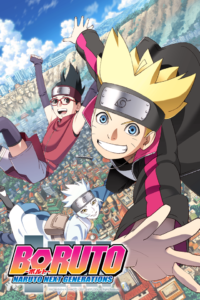 Boruto is not a spin-off but a continuation of the next generation of Ninjas, and for fans to see their beloved characters all grown up and their kids taking their place is a rather fun experience. This series has been staying up top ever since the first episode. 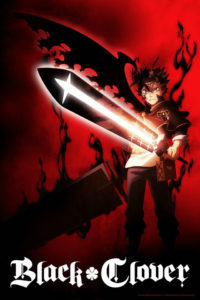 A unique Manga set in the world where each human can use magic by receiving a Grimoire on their 15th birthday, being super enthusiastic about the day, Asta shows up at the ceremony but he leaves without one. Being the only known in history without magic doesn’t bring him down and while defending his best friend Yuno, he receives a 5 leaf clover, a Grimoire that allows him to use magical weapons but no magical spells. He rejoices and joins the knights and embarks on insane missions. A world full of heroes where at young age, many develop this ability called ‘quirks’ except for this young boy names Izuku Midoriya. He secretly dreams about having a quirk one day but in vain until the world’s greatest hero All Might, scouts him and tells him about having the same quirk as him. 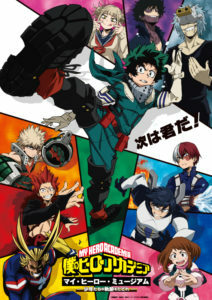 Izuku gets enrolled into the school of heroes for training to become a hero. 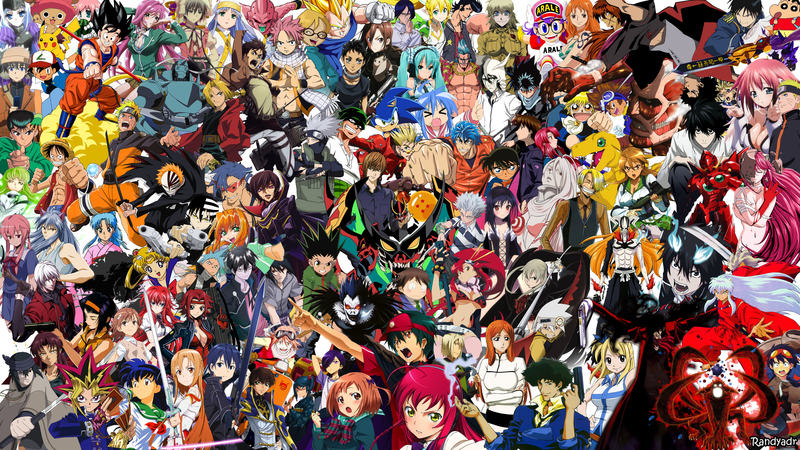 It has been an absolute favorite of so many anime lovers. Currently on it’s 3rd season, this anime is going strong still. 900 plus episodes and counting. This legendary Manga has kept everyone hooked since 1996. 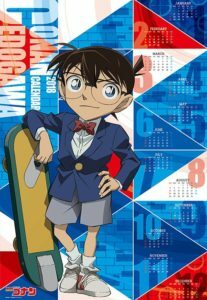 Detective Conan- Shinichi Kudou, a great mystery expert and only 17 years old is already known for having solved several challenging cases. In a rather bizarre turn of events he gets drugged by suspicious looking men and his body turns into a 7 year old boy while all his wits remain. He hides this fact from everyone and takes the alias of Conan Edogawa inspired the famous writers Arthur Conan Doyle and Ranpo Edogawa. Martial Arts at its very best but intense and brutal almost each and every episode. But if you are not squeamish and like hand to hand combat then there is no other Anime that can satisfy you better than Baki. A sequel to ‘Baki the Grappler’ which took a long time to make a come back but now it’s latest season is afoot. This time around, the rules of engagement have changed, or in fact, no rules what so ever. Win by whatever means necessary. 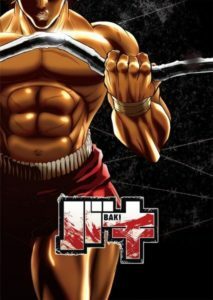 Baki faces escaped prisoners from around the world who all seek him out and want to have a battle to the death with him. It is very intense but a must watch. In a fantasy land, those who seek adventure come to join the Guild so they can take on missions and jobs. 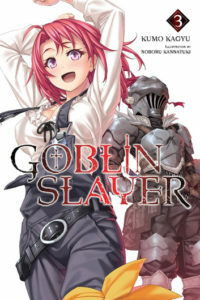 A young and inexperienced priestess joins her first adventuring party but it all goes very bad when Goblins end up wiping her entire party but she gets saved by an unknown man named ‘Goblin Slayer’ who only lives to exterminate goblins. A new series but the fans have taken a liking to it right away. It is definitely worth a watch. Our favorite gamer Kirito is back and he has got himself locked into yet another virtual world. 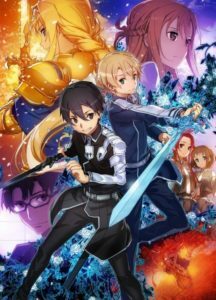 He has lost most of his memory and doesn’t know how he got there and as he searches for answers in this unknown world, he comes across the Gigas Cedar tree and sitting on it is a boy named Eugeo, who becomes Kirito’s friend. Eugeo is an NPC, and yet he has all the human like emotions. Kirito teams up with him and tries to find a way to log out of there. 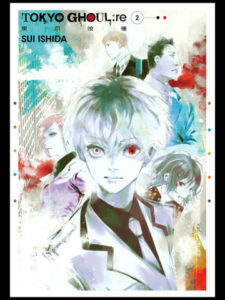 Second season to a highly acclaimed Manga, that even got a live-action title. Story about Rize Kaneki who barely escapes an attack by a ghoul and is taken into a hospital in critical condition. After his surgery he finds out that he has become half ghoul and now craves human flesh as a basic instinct. Struggling with his dilemma he gets taken in by a group of ghouls who run a cafe. Now he has to fit in the ghoul society and keep his ghoul side hidden from the humans. A rather crazy situation where you don’t fit anywhere. 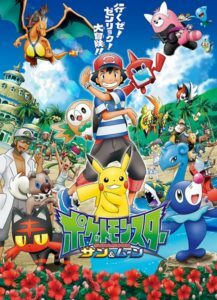 Pokemon needs no introduction and this is the newest series continuing on the Pokemon saga. Satoshi and Pikachu arrive at Melemele Island and discover a whole bunch of new Pokemon. While chasing one they end up finding a school that helps students learn about these fascinating creatures. Satoshi encounters Team Skull and their overwhelming power of Z-moves which requires both trainer and Pokemon to be in sync. A deity bestows a Z-Ring on Satoshi to help them understand the Z-moves. These new powers and new Pokemon are a must watch.